Wearable tech certainly seems to be the next hot space for hardware. Google Glass, the myriad activity trackers like Fitbit and Nike FuelBand, the list goes on. The Pebble Smartwatch is an interesting entrant into this space not only because of its features, but because it came to life through the largest Kickstarter campaign to date. It started the now-growing trend of consumer electronics launching with funding from the consumers. It’s here! 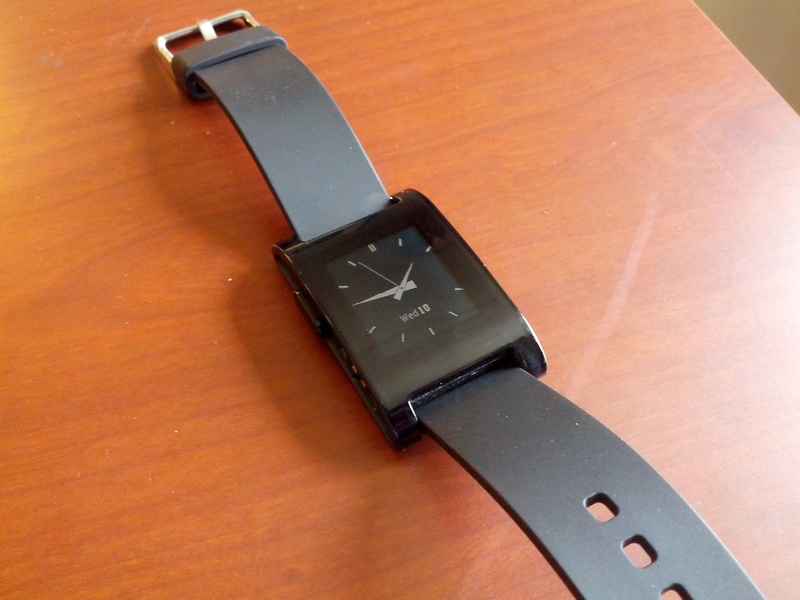 After months of waiting and numerous delays, my Pebble smartwatch has finally arrived. Even though I’ve only had it for about an hour, I can already tell the wait was worth it. It feels good to wear, it looks good, and the interface is pleasantly simple. This post isn’t a review though, so let’s look at what we’re here for: the unboxing. 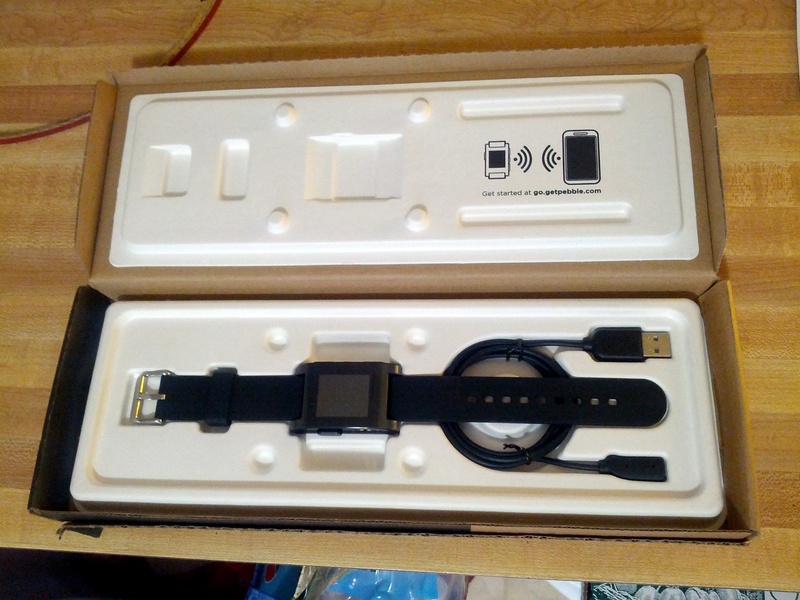 Pebble’s product box is also its shipping box, reducing the amount of packaging required.